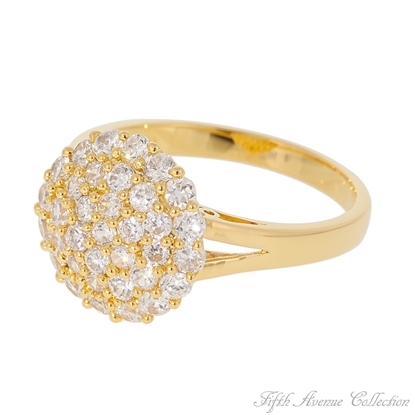 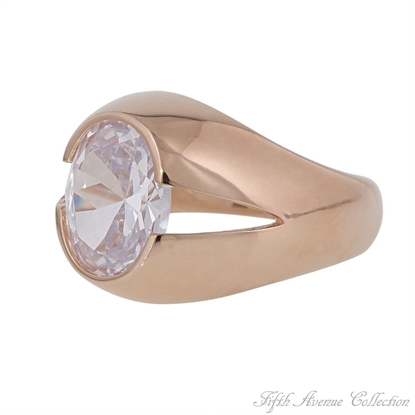 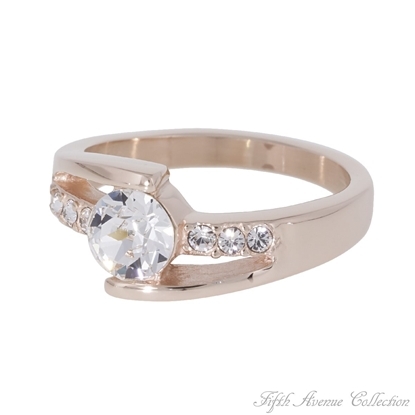 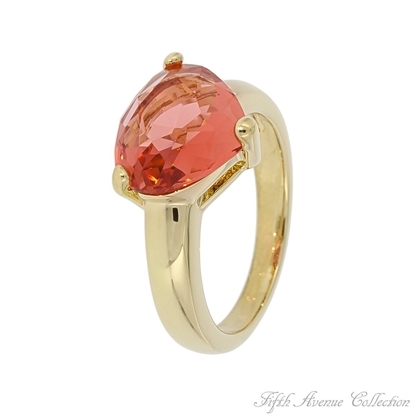 This design may seem "A World Apart" when its sparkling multi-facetted, top quality cubic zirconia meets its smooth, subtle setting finished in mellow rhodium or gleaming gold. 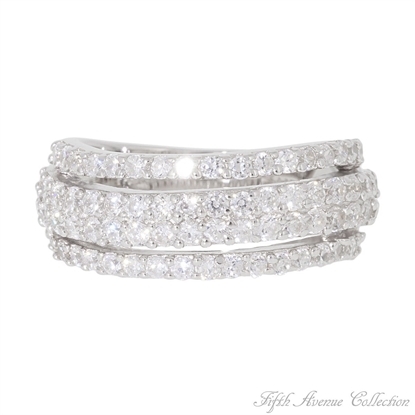 Magically they blend together in a symphony of style and beauty to give you one more brilliant choice in your treasured jewellery collection. 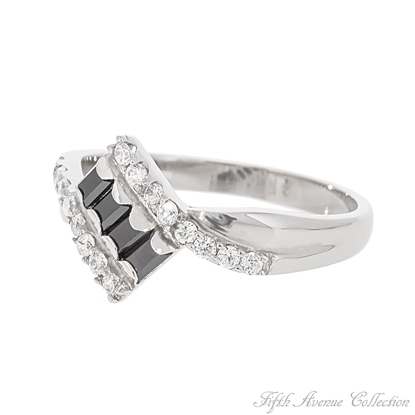 The swirl of black and white cubic zirconia set in this sensational sterling silver ring, finished in rich rhodium, is sure to bring delight and compliments to its wearer.Bombshell also available in all clear.Sizes 6-12.Nickel and lead free. 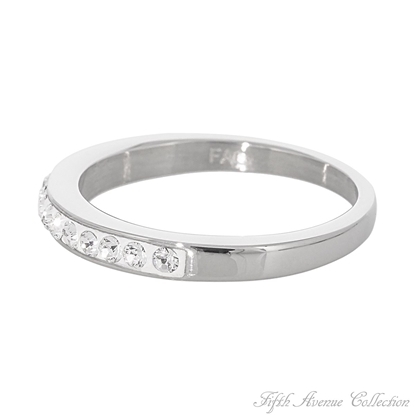 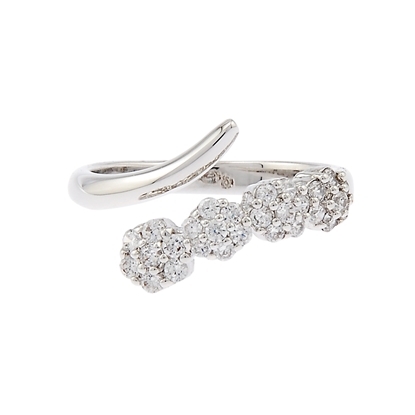 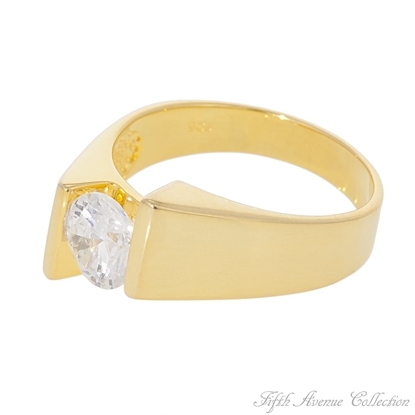 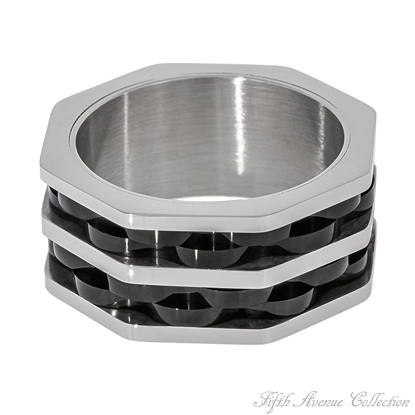 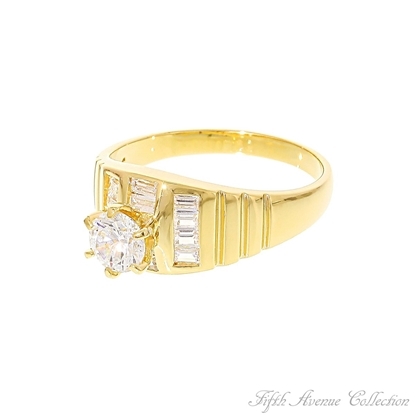 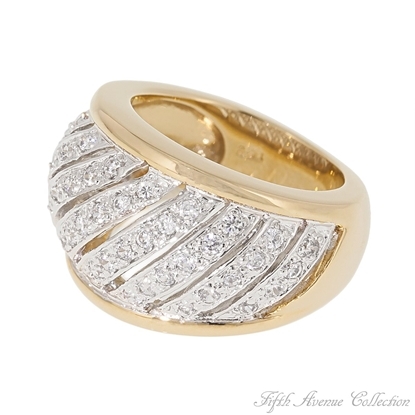 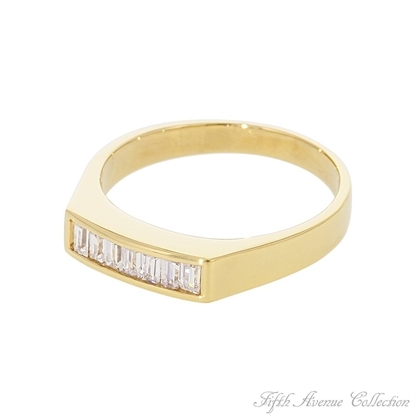 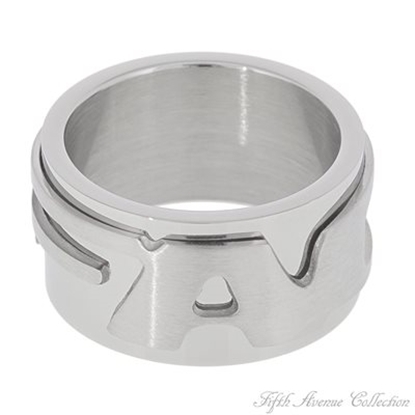 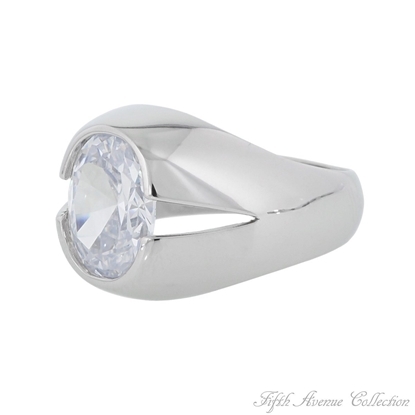 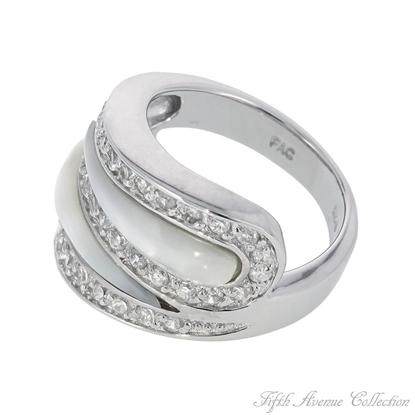 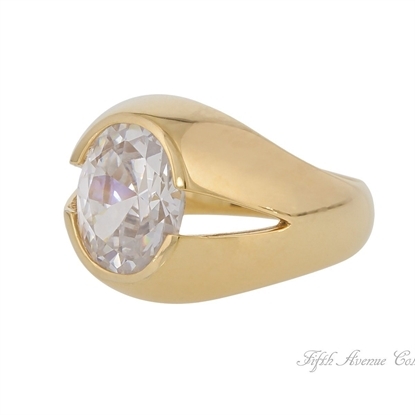 Classic in its simplicity yet contemporary in design, this beautiful ring is finished in your choice of gold or rhodium. 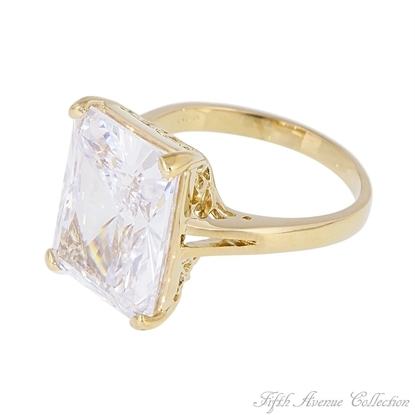 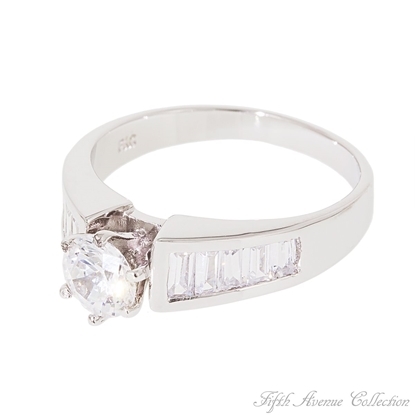 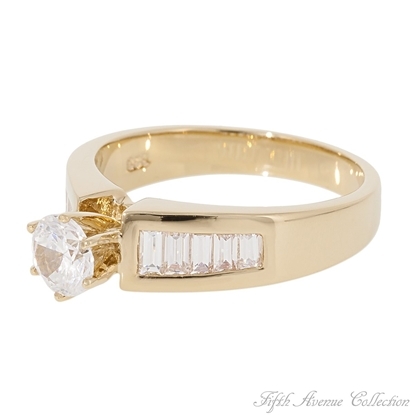 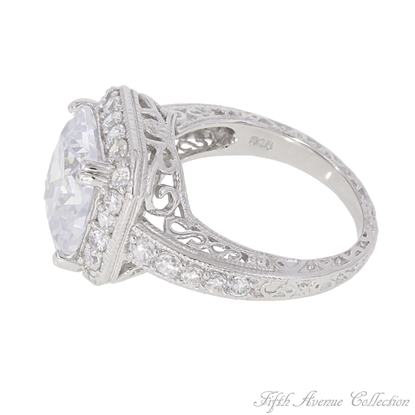 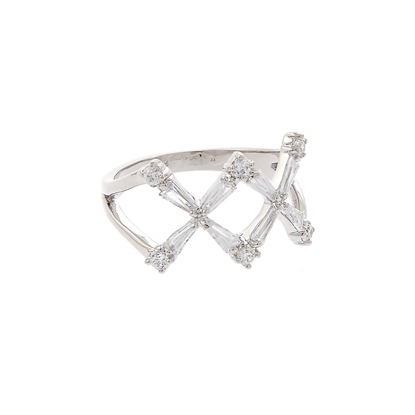 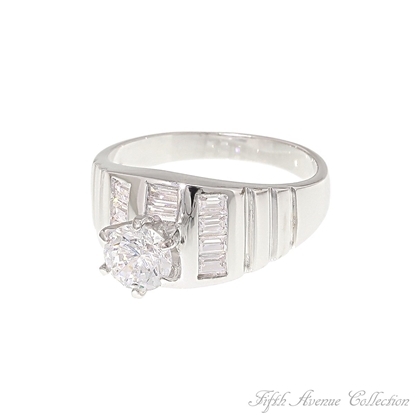 A round, clear Triple A quality cubic zirconia is brilliantly surrounded with ten exquisitely tapered baguettes. 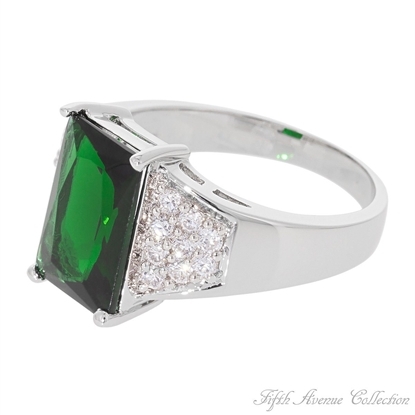 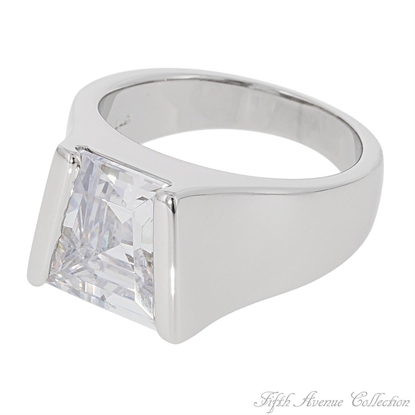 Create a commotion as you make an entrance wearing this incredibly beautiful clear emerald cut cubic zirconia cocktail ring. 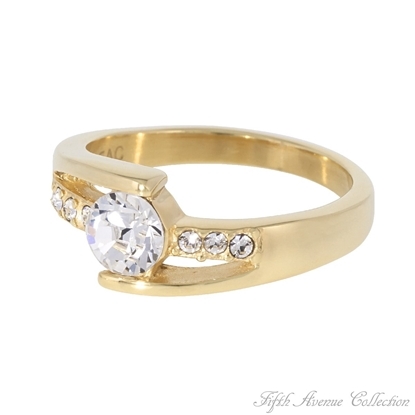 So magnificent, its only competition is its smooth golden shank … and you.